Southern NJ is served by several bus providers including NJ TRANSIT which provides fixed route bus services for the general public. Smaller, localized bus services for the general public, senior citizens, and people with disabilities. Generally, the smaller bus services are demand responsive. Some bus providers charge a fare, others are free but appreciate donations to cover rapidly increasing expenses. Driveless provides rail information for NJ TRANSIT, RiverLINE, PATCO, and SEPTA. Commuters, please visit our Rail Services page for more information about these services. Are you looking for a more cost effective way of getting to and from work or school? Have you tried carpooling or vanpooling? Cross County Connection offers a free ridematch service to help you find a suitable carpooling partner based on your commuting patterns. Click here for more information on how to utilize these services and take back your commute! 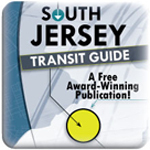 View and download our helpful and easy to use South Jersey Transit Guide for all transit services and information. Cross County Connection offers many services that can be used to ease your commute! With mobile device applications, interactive transport maps, live traffic cameras, and many more we want to help you take back your commute! View and download CCCTMA publications and newsletters for information and articles on transportation and our services. This map has been developed by Cross County Connection to aid in locating and visualizing public transportation, bicycle routes, and other commuter resources. A directions feature is included to route commuters to appropriate locations of interest. SCHOOLS: CCCTMA Provides Free Assistance and Resources for Implementing the SRTS Program. Click Here For More Information on the Planning, Development and Implementation of SRTS Projects! From Planning, Safety, and Outreach, CCCTMA Provides a Wide Range of Programs and Services to Help Municipalities Create Bicycle and Pedestrian-Friendly Environments. MUNICIPALITIES: Let CCCTMA Help Your Community Towards Certification and Points Towards Governmental Grants. Click Here to Learn More About Actions That Help Communities Reduce Greenhouse Gas Emissions, Preserve Open Spaces, Reduce Energy Consumption, and More! Regardless of your industry, transportation and mobility issues impact your business either directly or indirectly. Cross County Connection offers the following services to address traffic congestion and other transportation related issues at your worksite. Let CCCTMA Help Your Community Adopt Plans for Safer, More Accommodating and Efficent Roadways for Pedestrians, Motorists, Transit Riders and Bicyclists Alike. SJTPO asks you to VOTE NOW for the future look & feel of trails in South Jersey! CCCTMA’s Street Smart Campaign Begins in Bordentown! Important – AC Rail Alternate Travel Options – Click Here! Ocean City has a Biking School Bus — Your town can too! 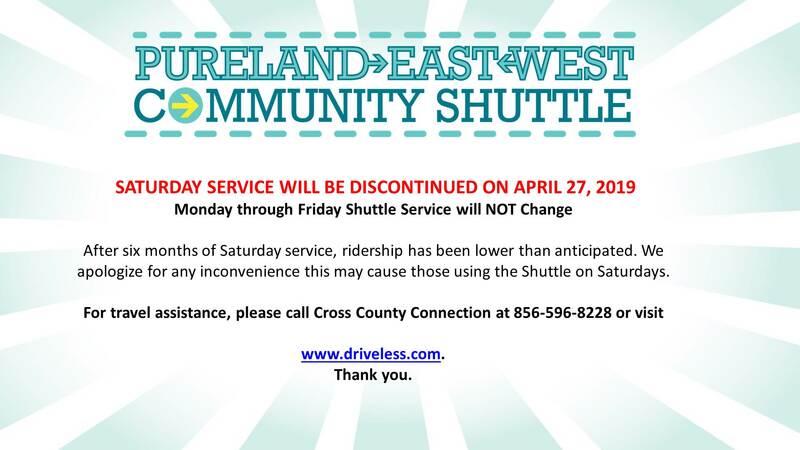 Pureland E-W Community Shuttle in the News! Click to sign up for the CCCTMA newsletter to receive the most up to date information regarding transportation news you can use. Right here, in southern New Jersey. Cross County Connection members are dedicated to improving the mobility of the region through effective transportation solutions. They demonstrate their commitment by supporting CCCTMA through their membership. 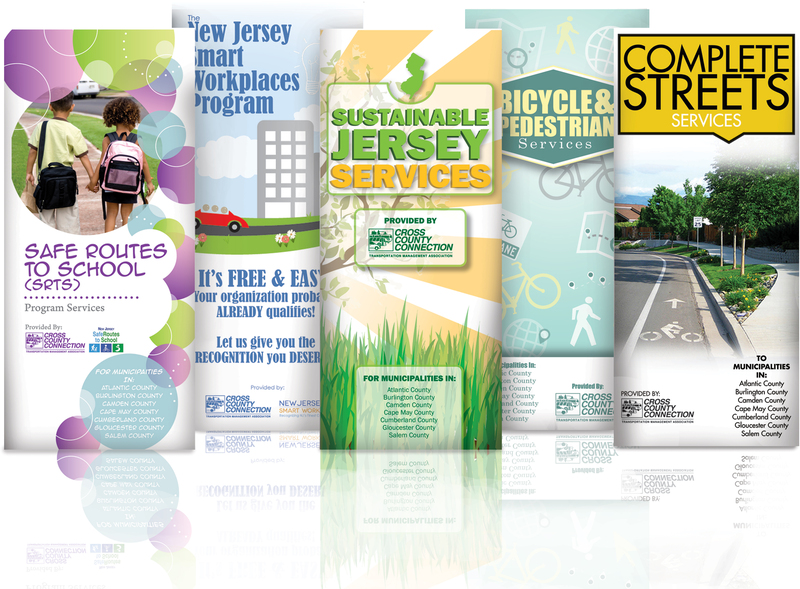 CCCTMA offers Numerous FREE Publications, for All Your Transportation, Travel and Commuting Needs. COMMUTERS: Join our FREE Discount Program to Receive Savings and Rewards from Area Merchants. Go Green, and See Some Green!